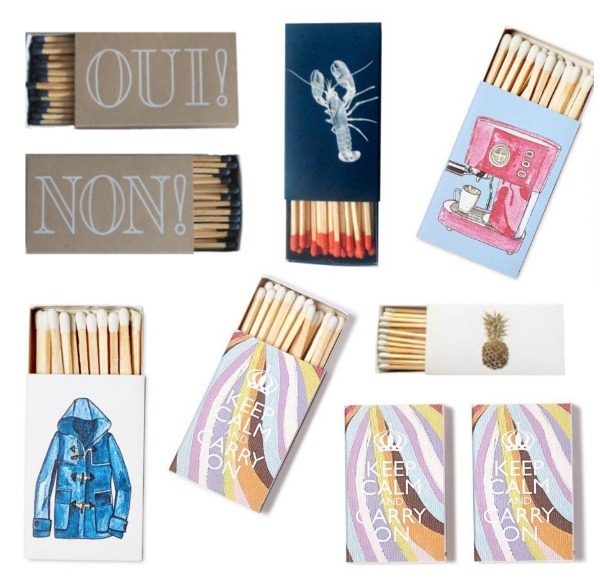 Ya'll, I'm literally obsessed with matches. (Weird, right?) Not weird, when they're this cute! Honestly, I love the simple touch of having matches resting on a bookshelf. They're each unique and tell a different story. I'm considering getting a jar to keep all of mine in to put on my bookshelf. Matches also make the perfect gift alongside a candle. How fun is it to give a sweet candle and a match set with a coffee machine on it (shown below) to your coffee loving bff? They add the personal touch a candle lacks. When I first started looking for Matches, I had a lot of trouble finding them. Google "matches" and you won't necessarily find the cutest ones. But, I've found a lot of great sellers online! 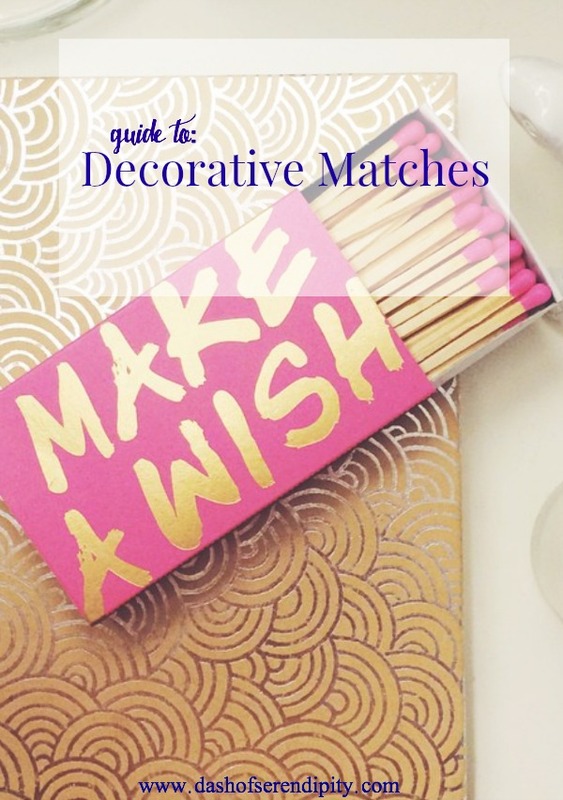 Some of my favorite places to find matches include: One Kings Lane (search: Matches), Design Darling, and Swoozies! I love the french saying one and the rain slicker one! Too cute!